On your initial visit, we will obtain from you a personal history regarding your present condition and past medical history. The doctor will conduct a comprehensive neurological examination based on your history. The initial examination will usually last 45-60 minutes. If needed, subsequent visits will be scheduled. Please notify us within 24 hours of your scheduled appointment if you are unable to keep your appointment. All appointments must be confirmed or they will be canceled. A list of current prescription and over-the-counter medications you are taking, including dose and frequency. Please download and print out our New Patient Information, Medical History, and Office Financial Policy forms from this website, following the instructions below. If you cannot fill these forms out in advance of your appointment, please arrive 30 minutes early to fill them out in our office. To read these forms, you must have the free Adobe Acrobat Reader. The forms will open in a new window. To print, just click on the printer icon in the toolbar above the window. Please complete the printed forms at home and bring them with you to your first visit. As our patient, your records will always be held in the strictest confidence. We will not release your medical records to anyone without your written authorization. If you wish to have your records from Dr. Pineless' office sent to another physician, attorney, insurance company representative or another party, we will be happy to comply with this request after obtaining proper written authorization. We will mail your records to the above-mentioned persons once this is completed. We reserve the right to charge a fee for this service in accordance with current statutes. Should an emergency arise at any time, call 911. If you need to speak with the doctor urgently, please call our office at 407.657.7900. At night or on weekends, our answering service will take your name and telephone number. They will contact the physician on call, who will return your call as soon as possible. If you should run out of medications prescribed for you by Dr. Pineless before your next appointment, have your pharmacist fax a request to 407.657.7942. Please allow two business days for your prescription refill. Prescriptions will not be filled on weekends or holidays. Please read and sign our Office Financial Policy which is part of our New Patient Forms packet. Full payment is due at the time professional services are rendered. 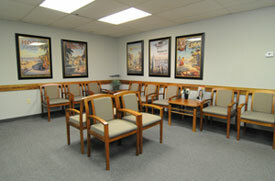 Our office accepts cash, checks, MasterCard, Visa, American Express, Discover and money orders. In addition, we accept Medicare assignment, and we are members of various PPO's and HMO's. Please see the Insurance Participation section on this website or call our office for further information. You will be responsible for paying any deductible at the time of service unless you can show that the deductible has been met. For our HMO and PPO patients, your co-payment is due at the time of your visit. Claims to your insurance company will be filed on your behalf. For our Medicare patients, we will submit all claims on your behalf. As a courtesy to our Medicare patients we will also file your secondary insurance. If you do not have a secondary insurance you will be responsible for your 20% or any deductible at the time of your visit. Dr. Pineless is on the active staff of Orlando Health South Seminole Hospital in Longwood. Additional information must be given on Living Wills and Durable Power of Attorney for Healthcare. For your convenience, Dr. Pineless has provided you with Living Wills information, and the Durable Power of Attorney form.